No strangers to the music world, Watford’s Other Nature are multi-instrumentalist and producer Sena Verdi AKA Lyonheart, and singer/writer Tariq Khan. They’ve just released a special live video for their single ‘The Throne’. Mesmerizing 80s infused electro-indie-pop, drawing upon their shared love of the greats, is the order of the day. Tears For Fears, Depeche Mode, M83, Talk Talk and a heavy dose of R&B and Hip Hop make up their unique sound. As the founding member of head-turning Alt Art-rock indie group Moones (whose debut was mixed and engineered by Coldplay’s Guy Berryman), Khan amassed millions of Youtube views courtesy of some pretty innovative use of stop-motion algorithms. He’s also remixed tracks for many acts, including British Punk-legends Gallows. Verdi’s musical journey has seen him release music under various guises with Dance heavyweights BT (reaching no.1 in the ITunes dance chart), Paul Oakenfold and Chicane, with Aqualung’s Matt Hales featuring on his last album. All whilst simultaneously acting as principal writer and producer in Sheffield post-punk band RALE, wowing audiences through BBC Introducing shows at Reading + Leeds and providing tour support for the likes of Reverend and The Makers, Mystery Jets and The Cribs. 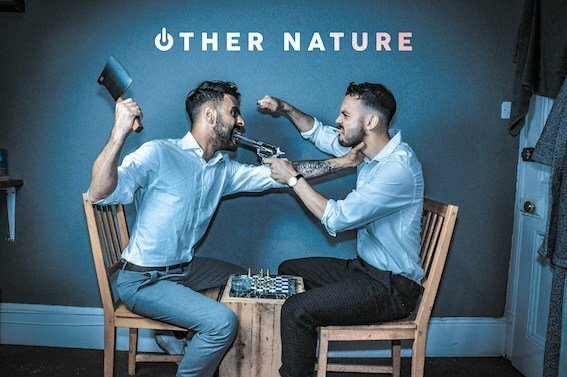 With their debut gig at this year’s Isle of Wight Festival already under their collective belts, Other Nature will announce more dates shortly. Cinematic, bold, emotive and impactful. Other Nature deserve your ears.